My time at the Rubin Museum has come to an end. I’m trekking off to work with the Brooklyn Children’s Museum. I’ve grown so much at the Rubin and will miss everyone dearly. I’ll still be guest-posting on the Education Blog from time to time, but a little less frequently. 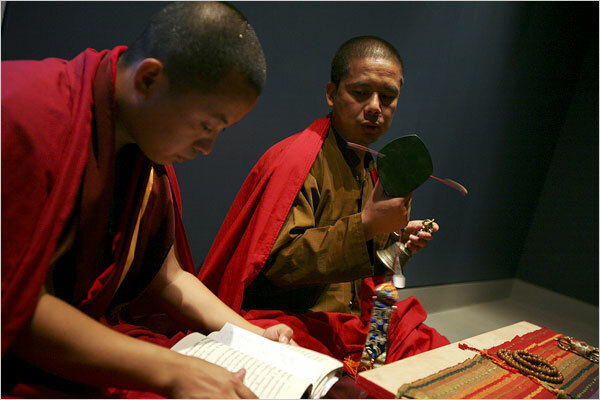 Before I go, I thought I’d share my top 10 favorite things that happened at the Rubin Museum. 1. Welcome to work . . . meet Lama Sonam and Lama Karma from Bhutan. When I first started working at the Rubin Museum, all of my friends thought that I would be sitting around meditating all day in saffron robes, chanting with monks. Nothing could be further from the truth except the truth. In my first month, two monks who were traveling with The Dragon’s Gift exhibition, Sonam and Karma, were placed under the care of the Education Department. Learning about our institution through the eyes of two Bhutanese monks outside of their country for the first time was one of the greatest educations a person could ever have. It’s amazing when an entire team pulls together to create an excellent exhibition experience under Curator Martin Brauen’s direction. I’ve never seen such a large group get behind an idea of an exhibition and fly. 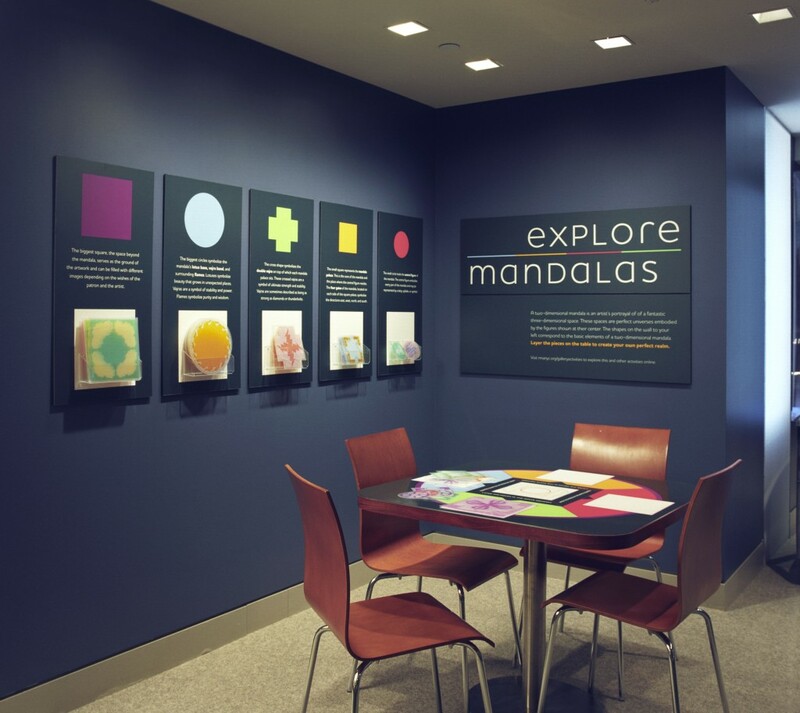 Mandala: The Perfect Circle was stellar, and provided opportunities for me to teach and learn that are still inspiring ideas today (plus the Explore Area was terrific!). 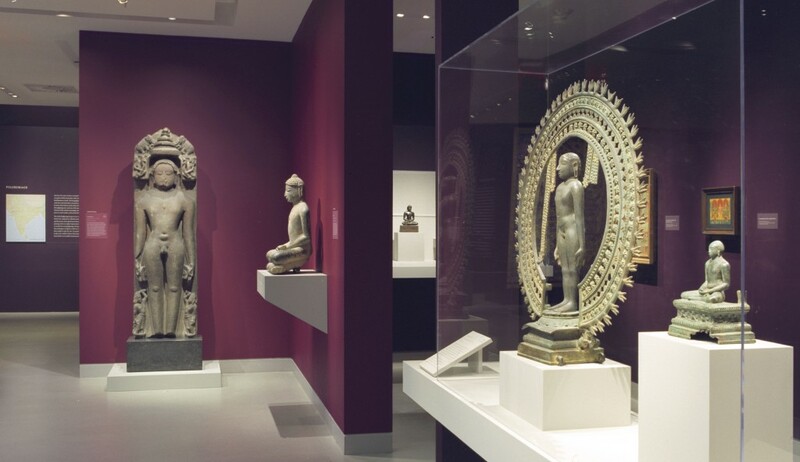 I didn’t know what Jainism was before starting at the Rubin Museum and had to take a crash course on Jain culture and religion to prepare for the Victorious Ones: Jain Images of Perfection. The image of the Jina is so important to me now, and I have spent many a sleepless night just thinking about Jain Cosmology. 4. Working on the The Known Universe Video. As someone who used to work in a planetarium delivering science shows it was a dream come true to sit and discuss the public understanding of the universe with a top notch team from the American Museum of Natural History. To brainstorm with Carter Emmart and Ben Oppenheimer is probably one of my nerdiest dreams come true and the video was a great addition to the Visions of the Cosmos exhibition. 5. Expedition Cosmos Family Day. This was one of the first Family Day’s at the museum that I oversaw with Aoife Pacheco. It paired my love of Himalayan Art and Astronomy, and I was able to borrow a Starlab from NYSCI. All at once my present and past collided for an incredibly successful day. 6. Donald Rubin telling me the dirtiest joke that I had ever heard after the most awkward university meeting. Meeting with universities can be a real drag. After a particularly painful meeting discussing policy and visitation logistics with a university president who really didn’t care, Donald Rubin told me the funniest, dirtiest, joke that I have ever heard, and will not repeat. Donald knows that I hate dirty, inappropriate jokes, but at that moment it was probably the only way to make me smile. When Eleanor Whitney pitched the idea of an Education Blog to me, I was like- great, do it- let’s see if anyone even looks at this. This has been one of the greatest outlets to generate thoughts about museum education and has provided me with a create outlet to document experience. 13,000 people visited the blog last year, and we’re going to have more hits this year! 8. The Design Team and the Flannel Panel. Coming from a Science Museum, participating in design meetings with such esteemed art museum colleagues who produce unbelievably beautiful exhibitions was ridiculously intimidating. One of my big breakthroughs was suggesting that we use a flannel panel for the textile exhibition Color and Light (Small flannel shapes on large flannel panels to create designs). The designers not only embraced the idea but elevated the concept so that it surpassed any of my simple expectations. Moreover, they embraced how the panel made the exhibition more accessible and have always surprised me with how accessible they try and make exhibition. 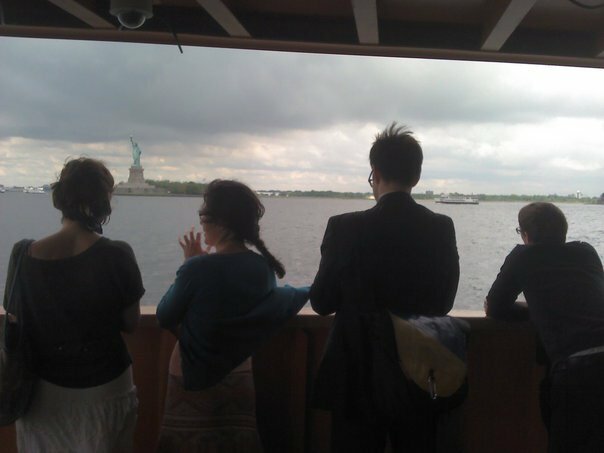 For two summers in a row the Education Team took a few weeks each June for professional development. We visited places like China Institute, the Noguchi Museum, and even Shelley and Donald Rubin’s home to explore Asia, art, and pedagogy. My favorite pilgrimage was to the Jacques Marchais Museum of Tibetan Art in Staten Island. This is not an easy trek and it involved a subway, boat, bus, train, rain, and endless walking. It also provided great conversation, new friendships, new ideas, and the opportunity to learn together as a group. 10. 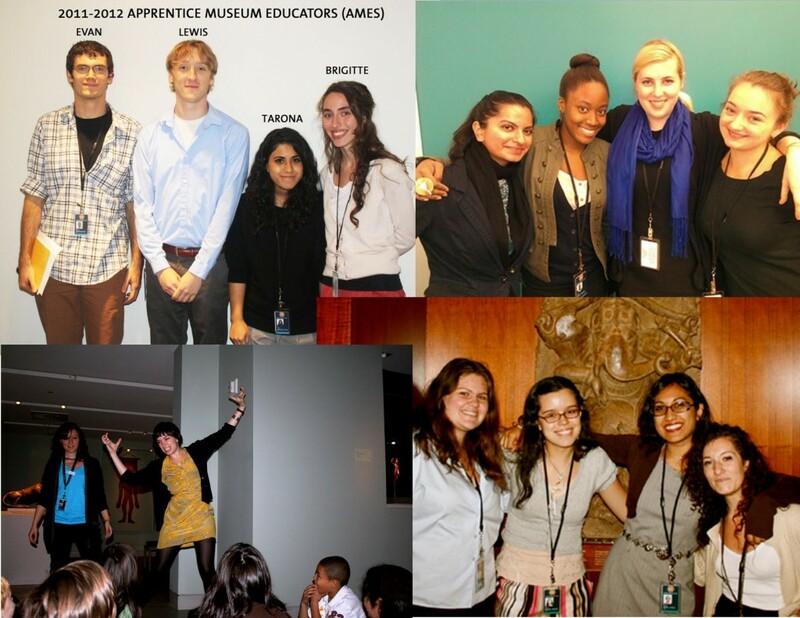 The Apprentice Museum Educator Program. I am the product of great undergraduate youth development. I attribute where I am in life to the people who helped me learn about informal learning and the power of museums. Undergraduate students have a lot to offer a museum and the Apprentice Museum Educator Program has been my favorite program to facilitate over the past few years. When the program was initiated it helped answer the call for extra floor and tour support, but it has gotten so much deeper, and I am proud of each of the participants. Watching young people go from being an intern to an Apprentice to a Visitor Experience Associate to a Guide to graduating to receiving a Masters Degree in Education to becoming a teacher to becoming museum professional makes me so proud. This transformational work represents the care and love that each professional member of the education team at the Rubin contributes to ensure that the next generation of museum and art educators are the strongest, most-experienced, and well-rounded individuals who support our visitors and students. 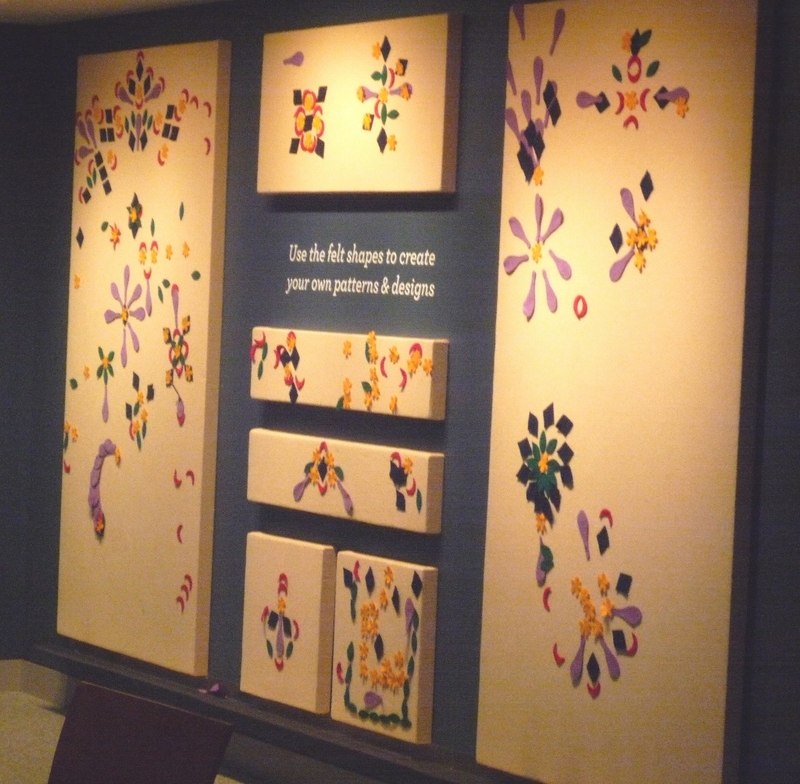 This entry was posted in Art Making, Exhibitions, Family, Gallery Tours, Himalayan Art, K-12 Schools, Museums, Outreach, Resources, Uncategorized, University Audiences, Visitor Experience. Bookmark the permalink. Great post! Marcos, it was a pleasure working with and learning from you. Good luck in Brooklyn and hope you’ll stay in touch!